So you’re going to have a tooth out. This procedure to most people is a terrifying process. Don’t worry though, honestly it’s not as bad as the stories you hear. If a tooth has been broken or damaged by decay, your dentist will try to fix it with a filling, crown or other treatment. Sometimes, though, there's too much damage for the tooth to be repaired. In this case, the tooth needs to be extracted. A very loose tooth also will require extraction if it can't be saved. People receiving cancer drugs may develop infected teeth because these drugs weaken the immune system. Maybe skip this part if you don’t want to know! A surgical extraction is a more complex procedure. It is used if a tooth may have broken off at the gum line or has not come into the mouth yet. The dentist makes a small incision into your gum. 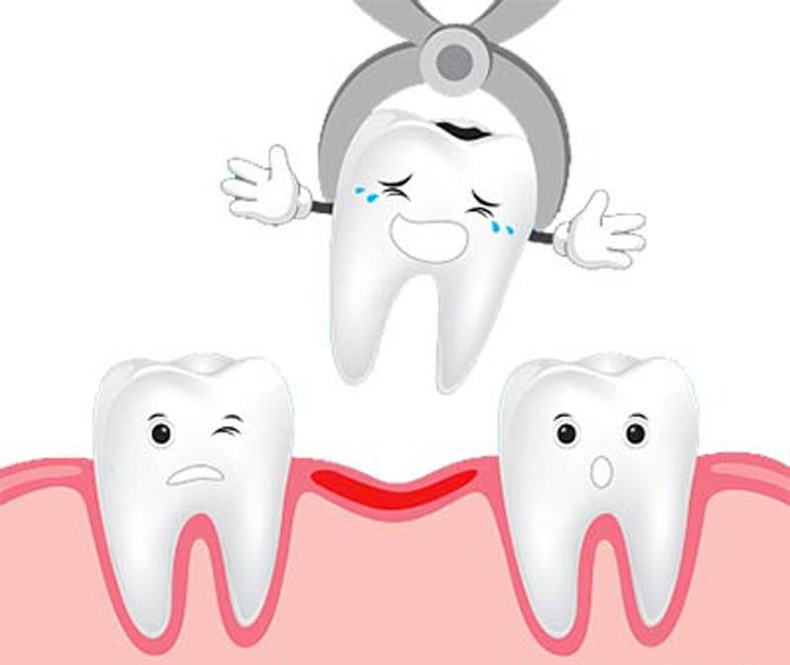 Sometimes it's necessary to remove some of the bone around the tooth or to cut the tooth in half in order to extract it. Your dentist will make sure the blood is stopping before you leave the surgery. You will be given an aftercare pack with some gauze in. This is incase the bleeding starts again, just dampen the gauze and bite down until the bleeding stops. Remember, blood and saliva will look as if there is more blood than their really is. Avoid rinsing the area for 24 hours. Do not drink hot drinks for 24 hours. The day after the extraction, rinse your mouth with warm salty water. Can I get an infection after the extraction? If the socket is not healing, when do I start to worry? We understand people will be nervous before this procedure is carried out, its natural. Remember, you can always pop your hand up and have a rest during any procedure. If you would like sedation, nucalm etc just ask before your appointment and your dentist will let you know what is available. Just click on the following image for some tips on how to relax before a dental procedure.